The choices that Bhutan makes will steer the resolution of the ongoing Himalayan impasse. For more than a month now, Indian and Chinese troops have been caught up in a stand-off on an obscure piece of Himalayan territory known as Doklam, which is disputed between Bhutan and China. The fundamental question is the location of the so-called triboundary point – where all three countries meet. A range of factors have made this incident the most serious such stand-off between the two nuclear-armed Asian giants, who are no strangers to border incidents. Both saw serious encounters in 2013 and 2014 in the Kashmir sector of their disputed border. First, from the Chinese perspective, the Indian army transgressed international norms by crossing what is seen as a settled international boundary to intervene on territory disputed between a third country and China. This is the first time Indian troops have engaged China from the soil of a third country. China was seemingly taken aback by the Indian Army’s response in mid-June, which it claims involved the bulldozing of certain road features it had already constructed. In the weeks since, China’s official reaction, accompanied by state media, has suggested a state of frenzy, with frequent references to the “lesson” of 1962, when China defeated India in a major war. Second, in the Indian view, matters are more subtle. New Delhi concurs that it and Beijing have agreed that the Himalayan ridge line in the area should form the basis of a final border, but that border has yet to be finally demarcated and delineated. From the Indian perspective too, there is ample reason for the intervention. The People’s Liberation Army’s alleged plans to extend a road – the spark for the stand-off – was seen as both threatening to India’s security interests in the region and Bhutan’s sovereignty. Third, India and Bhutan have maintained a special relationship where Delhi exercised considerable persuasive power over the small Himalayan kingdom’s foreign and security policy from 1949 on, under a treaty of friendship. That agreement was revisited in 2007 to grant the Bhutanese great autonomy as the kingdom transitioned from an absolute monarchy to a parliamentary monarchy. Caught between two giants, Bhutan, with the exception of issuing a demarche to Beijing and a short statement, has maintained its silence. As July 2017 comes to a close, the situation at Doklam appears to be stable and tense, with neither side likely to escalate matters soon. India continues to defy a Chinese ultimatum that diplomacy can only take place once Indian troops withdraw to their side of the Himalayan ridge line. If China does escalate, it may choose to do so in another sector. Perhaps China’s military may take steps to seize territory on the Indian side of the Line of Actual Control in eastern Ladakh. In the meantime, the longer the stand-off persists, the more unilateral drawdown becomes an unappetizing loss of face for either side. Neither of these proud and rising Asian powers wants to be seen as capitulating in a scenario where both sides are convinced of the fundamental righteousness of their positions. Ultimately, it comes down to complex hermeneutics around a 1890 convention between British India and the Qing Empire and subsequent agreements, including a non-public 2012 agreement in which India claims China would agree to resolve outstanding triboundary disputes in consultation with the concerned third parties – Bhutan, in this case. 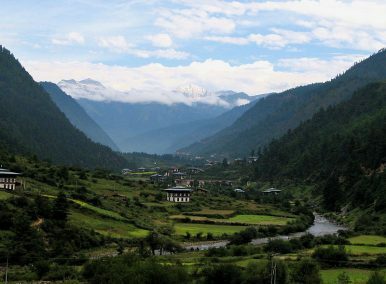 Bhutan, China’s only neighbor with which it has no diplomatic ties, has engaged in 24 rounds of border negotiations with Beijing. Doklam is not the only sector where Bhutan and China have disputes and, while the sector matters immensely for India, where it is seen as a natural bulwark against the PLA’s access to the vulnerable Siliguri corridor, for Bhutan, there are good reasons to allow favorable concessions to China at Doklam. In 2005, Bhutan, then still obliged to defer to Delhi on matters of foreign and security policy, reportedly had made important unilateral concessions toward China that left Indian policymakers livid. Though the exact offer remains secret, it is likely that Beijing offered to settle for a small concession at Doklam in exchange for Bhutan’s gaining a wider swathe of territory in the north and east. Though the 2005 matter was hardly reported and managed carefully between India and Bhutan behind the scenes, it leaves the sense that Thimphu is the key to the ongoing stand-off. If the PLA’s move to extend the road in June was more than tactical, it may have sought to highlight the growing schism between India and one of its closest allies and neighbours. Bhutan’s incentives to defect on the Doklam question will now receive intense attention during next year’s parliamentary elections in the country too. If the India-China stand-off lasts through the winter – and it will likely last a good deal longer as China’s 19th Party Congress approaches – the matter could grow increasingly uncomfortable for India. And so the stand-off at Doklam will simmer on between India, China and Bhutan, likely maintaining its ongoing ossified state well into the winter of 2017. For India and China, the Doklam stand-off has metastasized into another bit of geopolitical competition between two aspirational giants. For tiny Bhutan in the meantime, each choice made during this stand-off could well end up charting its place in Asia for decades to come. A version of this article originally appeared in the South China Morning Post. It is republished here with kind permission. China's vice foreign minister made a rare trip to Bhutan to discuss the bilateral relationship between the two countries.